Published: Dec. 30, 2018 at 05:39 p.m. Published: Dec. 30, 2018 at 04:38 p.m. 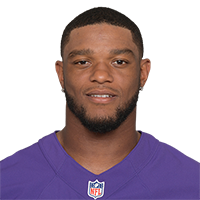 Published: Nov. 19, 2017 at 01:22 p.m.
Baltimore Ravens cornerback Jimmy Smith picks off Green Bay Packers quarterback Brett Hundley in the end zone. Published: Oct. 26, 2017 at 11:37 p.m.
Baltimore Ravens corner back Jimmy Smith reads Miami Dolphins quarterback Matt Moore and takes it to the house for a touchdown.